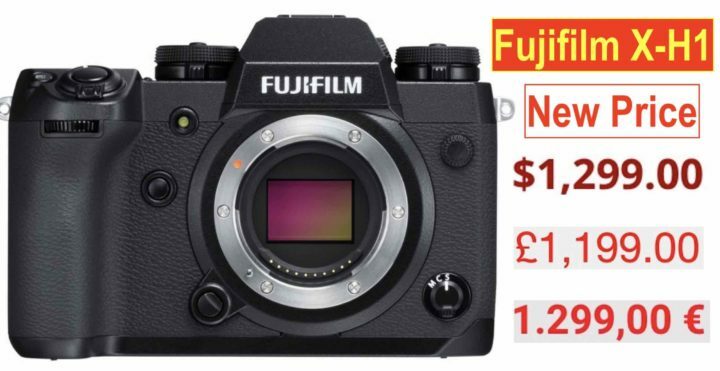 Lately I get many emails asking me if the Fujifilm X-H2 is around the corner, since the price on the Fujifilm X-H1 is dropping drastically all over the world (latest countries to join is the United Kingdom today here). 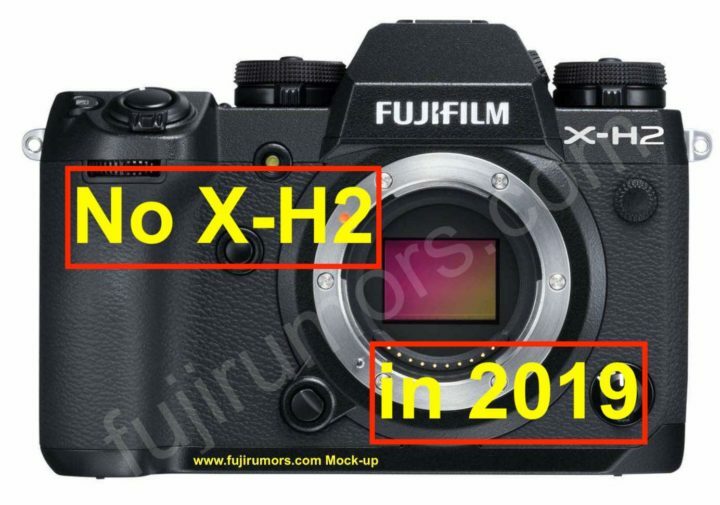 My answer is no, there will NOT be a Fujifilm X-H2 in 2019. 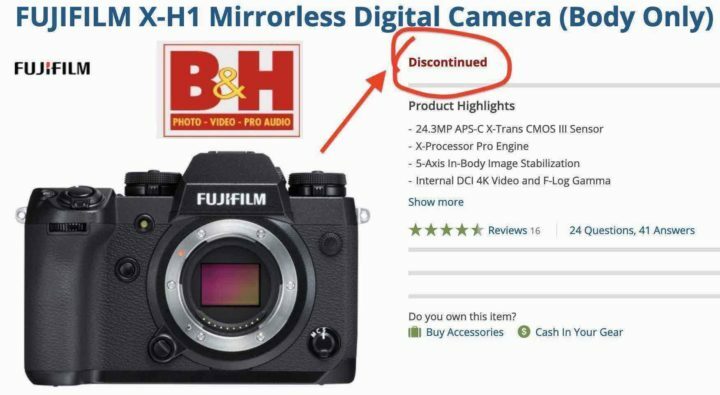 The reason for the price drop on the Fujifilm X-H1 is not because the X-H2 is coming, but because… well, I have a smart community, and I’m sure you can figure it out by your own ;). 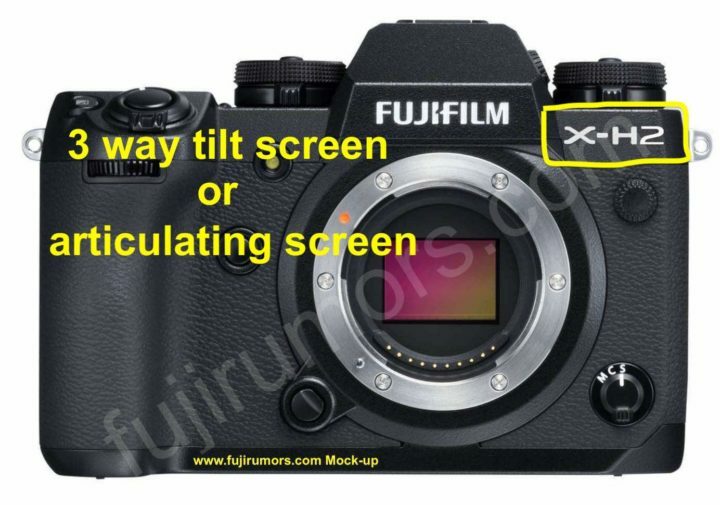 read here: VOTE: Fujifilm X-H2 with 3 way Tilt Screen, Swivel Screen or X-T100 Flippy Screen? read here: If the Fujifilm X-T3 had IBIS, would You Prefer it over the Fujifilm X-H2? The only camera to get a successor very soon, is the Fujifilm X-T20, since the Fujifilm X-T30 is coming on February 14. Fujifilm X-T3 Sensor: Can Fujifilm Unlock Full 16 Bit Sensor Power via Firmware Update or Maybe Come to Fujifilm X-H2? 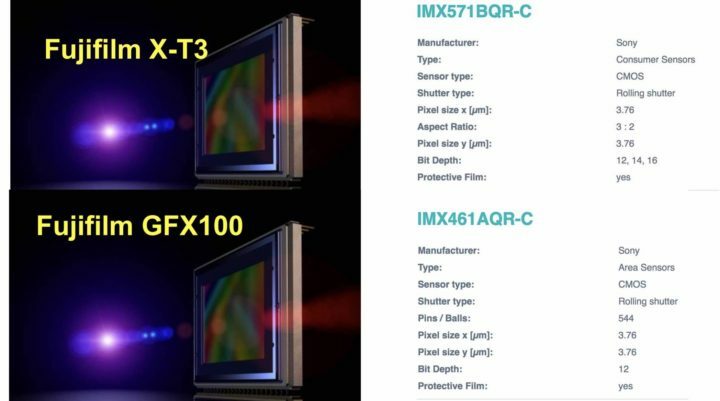 We recently reported here, that Sony officially listed the IMX571 26MP Fujifilm X-T3 and the IMX461 100 MP Fujifilm GFX100 sensors on their page. If you check out the X-T3 sensor details (table below), you will see that Sony’s 26 megapixel sensor has a bit depth that can go up to 16. The Fujifilm X-T3, though, shoots at 14 bit in regular mode and I hear 12 bit in sports mode. 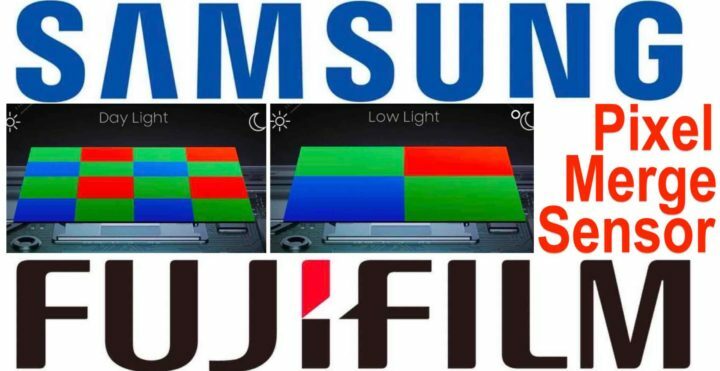 It looks like Fujifilm did not/not yet enable 16bit readout mode, and went for 14 bit instead, because they prioritize speed over image quality. In fact, 14 bit files are significantly faster to read out than 16 bit files, which, on the other hand, offer lower noise than 14bit. … but I wonder if Fujifilm could enabled 16 bit a later stage via a firmware update, and maybe even give us the option to select between 14 bit for ultimate speed or 16 bit for ultimate image quality. 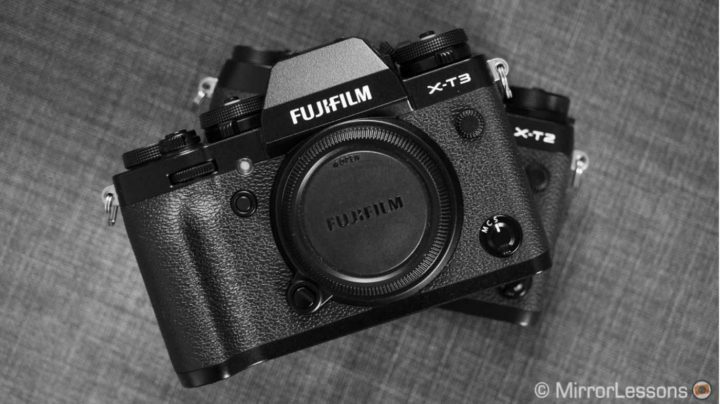 See the Fuji X-T3 sensor details at framos here. Fuji Guy Billy already said here, that the 25% better heat dissipation of the Fujifilm X-H1 body over the X-T2 body, allows them to run the X-Processor Pro faster in the X-H1 than on the X-T2. I guess the same will be valid for the Fujifilm X-H2, and hence it will be able to squeeze even more power out of the brand new Fujifilm X Processor 4. 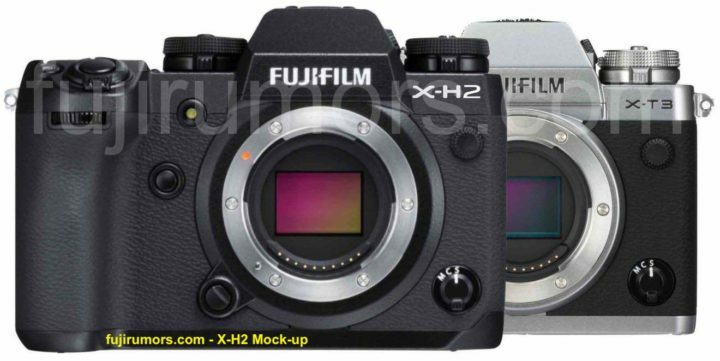 I wonder if that would make it easier for Fujifilm to offer 16 bit on the X-H2. “The IMX461AQR-C is a diagonal 55 mm (Type 3.4) CMOS active pixel type image sensor with a square pixel array and 102 M effective pixels. This IC incorporates maximum 36 dB PGA circuit and 16-bit A/D converter. 16-bit digital output makes it possible to readout the signals of 102 M effective pixels at high-speed of 2.7 frame/s in still picture mode. In addition, vertical subsampling binning and 3-horizontal pixel weighted binning realize high-speed 12-bit digital output for shooting moving pictures. See the Fuji GFX100 sensor details at framos here.